Although home design service in Bangladesh is a thriving business, clients generally like to hire experienced home decorators. Also, your interior design business can make inroads if you chalk out some clever marketing strategies. So, before entering the fray you must study all aspects of this business. Providing home decoration and furnishing needs of clients by the home decor ideas. For furnishing their homes in style, for example, some of the clients need interior design businesses only. That’s why if you know what you’re doing, the home design industry can be very lucrative. This is because the real estate market is booming and home construction is rising simultaneously. Besides, everyday people are redecorating and renovating their houses. It’s another reason that there is no shortage of business opportunities for the home design business. It’s one of the fastest growing businesses of home design service in Bangladesh. Also, it’s assumed that the number of interior designers increased by the middle of 2018. This means that there is an ever-increasing demand to decorate homes and interior designers to flourish in the market. What you need to do is to target your potential customers carefully with a marketing plan. That’s why you have to research the market niches so that you can find out which set of people are likely to call you for home furnishing and other interior designing jobs. After that target your potential clients and drive their attention to your startup with your unique marketing ideas. 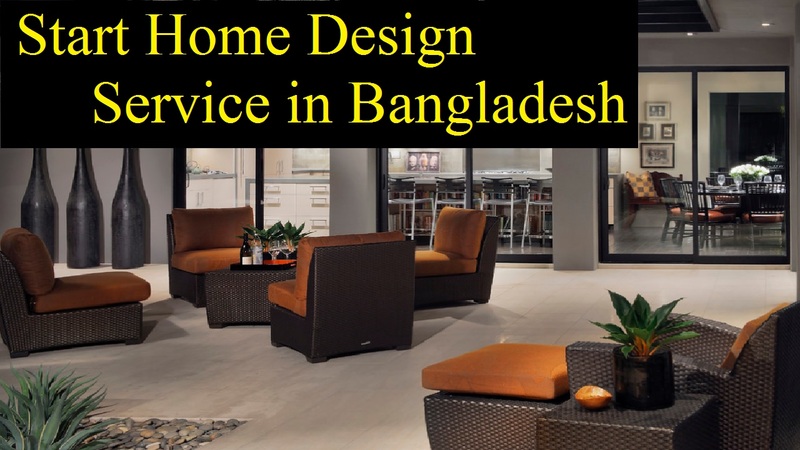 Now, let’s know the steps to start home design service in Bangladesh. It’s vital that you should have a solid business plan while starting a home design service in Bangladesh. What you have to include in your business plans such as basic business concept, your strategy and the specific actions you plan to take in order to implement them. Moreover, you have to add some more points when you make a business plan. For example, you should add the service you are offering and its competitive advantages, the types of clients you wish to have etc. also, you must add in the plan how you’ll promote your business, and any financing you require to get started. Home design service in Bangladesh covers different sub-sectors. Some of them are antique furniture refurbishing, decorating artificial flowers, basement remodeling, ceramic tiles etc. That’s why you should know who your potential clients are. This is because it directly relates to knowing what type of interior business you should start. Then, research about that small segment when you have determined your niche. Moreover, you should know more about the different backgrounds of your potential customers specifically. What you should do is that find out the market size, specific products, and services that are generally in good demand. It’s notable to know what your customers expect from your interior design services. You’ll be able to do these when you’ll have a clear vision of your ideal client. The next step is applying for a business license and necessary permit when you’ve made the decision to start a home design business. You need to have its license and permit in place before you can legally begin to operate your business. For a wide range of purposes, for example, it helps to identify your business and ensuring you are accountable for your actions and keeping track of your finances for tax purposes, a business license is essential. You’ll get your business license from your own city corporation or nearest paurasobha office. If you feel it hard to perform all documental works, you can hire a lawyer for you. Startup costs for home design businesses are often relatively low in most cases. But, it doesn’t require a huge budget to begin. But, you will also need to include any renovation costs you expect to incur if you intend to work from an office. You’ll save a significant amount of money on rent when you intend to work from home. That’s why, as it will be much easier to create a budget, sit down and list everything you need. You need to figure out how you’re going to market your company with everything else in place. In order to market your business, there are various methods to use. For example, you can either advertise by word of mouth, advertising in newspapers, radio or television, or through a website. However, it’s one of the best methods for marketing a home design business is to advertise through a website. Your potential customers will view your uploaded images first before contacting you when you’ll run a website. If you can make a network with other professionals in the home design industry, you’ll get referrals easily. So, what you have to do to make a good relation with other designers and decorators as well as real estate agents, builders, plumbers, and architects. Not only making a network with other professionals but you also need to promote your business. In this case, you can use a Facebook page where you can show your works to other people. Moreover, as it will encourage them to promote yours, make a point of using your online presence to promote other people’s work too. In order to get connected with other professionals, LinkedIn is one of the best online platforms. You have to consider doing some initial projects either free or at a nominal price for clients. It’ll help you to enlarge your portfolio and will help to demonstrate your talent and skill. What you’ll get from this that the satisfied clients will then spread a good word about your business. Moreover, they also will be recurrent when they’ll need to do any home décor. This is the way that’ll help you to build your own client list.